What Do You Need to Think About When Buying a Dewormer for Your Dog? 3. What Parasites Does It Target? 4. What Form Is the Medication in? So, Which Is My Favorite? As a dog owner, it is necessary to be aware of the different signs and symptoms that your pet might be infected. Does your dog have diarrhea? Have you caught your pet scratching or rubbing its hindquarters? Are there visible red marks or sores on your dog’s skin? If your dog shows any of these symptoms, he or she might have worms. As with any other health problem, you should pay attention to anything that is out of the ordinary. All these signs are very noticeable, but keep in mind that sometimes there would be no explicit signs and symptoms. Before you freak out, this isn’t unusual or uncommon. It happens with most dogs one or more times during their lifetime. Even if your dog isn’t infected, like most pets, dogs should be dewormed once a year as a precaution. Some of the ways in which worms spread are through fleas, from contaminated foods, contact with feces or even from a pregnant dog to her unborn pups. The different worms and parasites have different effects on your pet’s health. The more severe and extensive an infestation becomes the more adverse its effects. Some parasitic infections like heartworms could even be fatal. Even less serious infections can still make your pet very uncomfortable. Other important reasons to treat and prevent worms in your dog is to prevent the parasites from infecting other pets as well as humans who interact with your pet. Usually, your vet will treat your pet for these parasites at their annual checkup. However, there are other options available. As worms are the most common health problems in dogs, it’s lucky that there are many ways to deworm your pet at home too. You will be able to find over the counter dewormers at pet stores, department stores, and veterinary stores. Nowadays they can also be bought online. 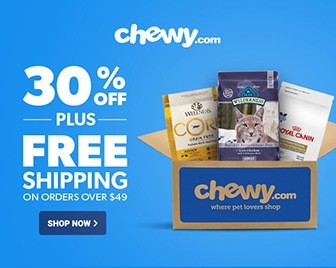 With so many products available it is difficult to choose one to buy for your dog. It can be tempting to grab the first and cheapest product that you see. However, not all products are the same, and not all of those available are effective. Granule form makes it easy to mix in with your pets food. It treats a wide range of worms like hookworms, tapeworms, roundworms as well as whipworms. Choosing a dewormer isn’t as simple as we might want it to be. There are a lot of things to consider when you buy a deworming treatment. Let’s look at the essential criteria by which a product should be measured. Whenever you buy something for your pet it’s your responsibility to make sure that it is safe to use. Make sure that the brand or source of the treatment can be trusted. When you browse for products, check whether they have been approved by the appropriate government bodies. Part of this is making sure that you give your pet the correct dose of the medication. You should also buy a treatment that isn’t ideal for your pet’s species and breed. Dewormer for other pets aren’t suitable for dogs. In addition to this, see whether the medicine is for large, medium or small breed dogs. The treatment should not make them sick and should not have too many side effects. Besides safety, the second most important aspect to think about is whether it will work. Not all products are of the same quality.You should do some research beforehand to find out whether the remedy will get rid of the pests. A handy way to gauge its effectiveness is to look at other reviews. The closer the stories are related to yours and the more positive experiences other customers had, the better. The effectiveness of the treatment is impacted by the specific parasites that it targets. Your pet might only be infected with one type of worm or with more than one. They aren’t all killed by the same remedy. Some of the most common worms are hookworms, roundworms, tapeworms, and whipworms. Parasites on a pet’s skin are more straightforward to identify than intestinal worms. With severe infestations, worms can sometimes be visible in their feces. You might want to take your pet to the vet to find out what parasites they are infected with. Many of the dewormers that are available are in the form of chewable tablets. These tablets are usually flavored so that your dog will enjoy eating them. This is probably the easiest way to administer the treatment. Other forms like pastes etc. can be tricky to use with pets that aren’t accustomed to them. I will use all these features to review 5 of the top dewormers that are available on the market. Safe-guard’s name says it all. It is an all in one dewormer that helps to treat your pets and protects them against future infestations. Its active ingredient is Fenbendazole. 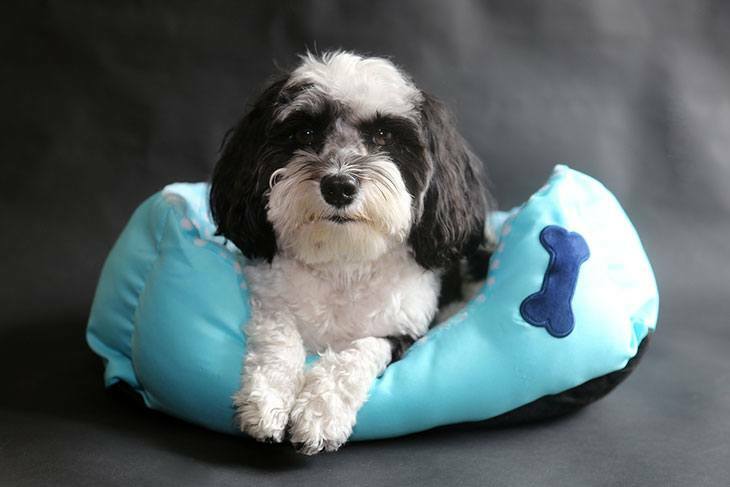 The remedy has options for small, medium and large breed dogs. A benefit of this product is that it only needs to be administered for three days and is effective in preventing worms for up to six months. Unlike many other products on the market, this medicine treats dogs for more than one type of parasite. It targets hookworms, tapeworms, roundworms as well as whipworms. 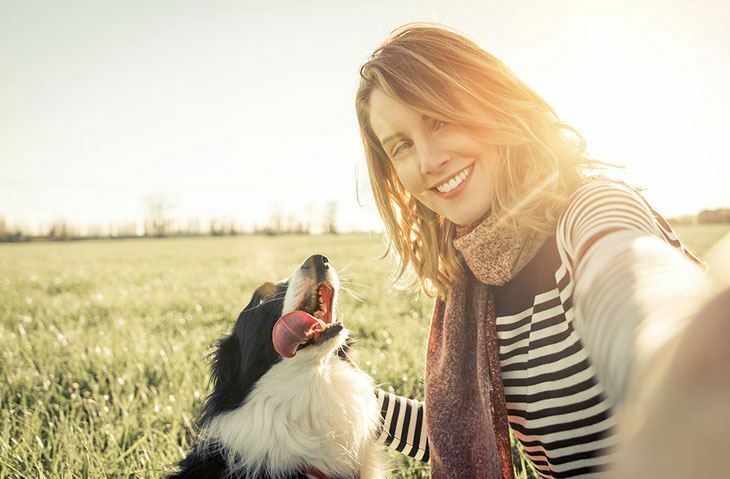 This is very helpful considering that most of the times pets are infected with more than one parasite, and it can be challenging to narrow down exactly which ones your pet has. This remedy comes in the form of granules. These granules can be conveniently mixed into your dog’s food which makes it very easy to administer. To make it even easier the three doses are packaged separately in the box. Overall, this product gives good results without breaking the bank. You might need to buy more than one packet as the large breed option only contains enough granules for a dog that weighs up to 40 lbs. The active ingredient in Panacur C is also Fenbendazole. It comes in the form of a powder that can be mixed with your dog’s food. This remedy targets and kills hookworms, tapeworms, roundworms as well as whipworms in dogs. This potent powder is sold in packages of 1 g, 2 g and, 4 g. To easily administer the medication, the manufacturers recommend that it be mixed with wet food. The treatment is very safe and can even be used to treat pregnant dogs. Before you give it to a pregnant dog, however, you might want to take consult a vet. The packages do not necessarily contain the full dose, so it’s possible that you will need to buy more than on. Work out how much you will need based on your dog’s weight before you buy the product. The treatment lasts for three days after which Fido should be parasite free. Targets the most common species of worms. It is easy to mix this powder into your pet’s food. Extremely safe product and can even be administered during pregnancy (after vet consultation). It might be necessary to add water if you want to mix the powder with dry food. Some dogs will not like the taste and might refuse to eat their food. Depending on your dogs weight, you might need more than one packet. For: small, medium and large breed dogs. Usefully, it also comes in a box for puppies. The Bayer Quad Dewormer comes in the form of chewable tablets. These tablets can be fed to your pets as is or it can be put in their food. Bayer is a well-known supplier and producer of health products and pharmaceuticals with a good reputation and long history. This product has more than one active ingredient that helps it to target multiple parasites. Bayer Quad Dewormer is reported to work well in the majority of cases. The treatment comes in packs for small, medium and large breed dogs. Usefully, it also comes in a box for puppies. To make them extra irresistible, they are beef flavored and most dogs will not even realize they are eating medicine. It’s also a long-term solution and out only need to give one dose at a time. To make dosing convenient, the tablet is scored so that it can be easily broken. It’s a broad spectrum dewormer that acts on multiple parasites namely tapeworms, hookworms, whipworms, and roundworms. The product acts very quickly, and should swiftly produce positive results. This treatment is more expensive than other products on this list. It can be hard to force a dog to eat it if it doesn’t like the taste. For: Although this product is specifically for large dogs, this brand also has treatments available for smaller breeds. Sentry worm 7 X is a broad spectrum dewormer. It’s two active ingredients, pyrantel pamoate and praziquantel, have also been used in veterinary remedies. The medicine comes in the form of two flavored chewable tablets that should be given to your pet once a month. Although this product is specifically for large dogs, this brand also has treatments available for smaller breeds. In my personal experience, and according to popular opinion, most dogs love the taste of these tablets and gulp them right down. Partly because it is in tablet form, it’s only suitable for older pups (over 12 weeks) as it could be a choking hazard. This remedy is particularly effective for large dogs. Sentry worm 7 X works for a variety of parasites and different strains of roundworms, hookworms, and tapeworms. It’s a monthly treatment it needs to be given more often than some other products on the list. For: suitable for both puppies (from 2 weeks) and older dogs. Nemex 2 Dewormer is the only remedy on this list that comes in a liquid form. The active ingredient in this suspension is Pyrantel Pamoate. The suspension is flavored and can be mixed with their food. You can give it to your pets with a dropper or a syringe among other methods. Owners of pets who dislike chewable dewormer tablets often prefer liquid dewormers like Nemex 2. This liquid opens up a variety of methods of administration and you can mix it with just about anything. The medicine also deworms more than one type of parasite. It helps for both hookworms and roundworms. Very easy to mix with food. It’s suitable for both puppies (from 2 weeks) and older dogs. Although you should consult your vet first it is suitable for pregnant dogs. The remedy helps for fewer of the most common worms than some of the other ones on the list, for example, tapeworms. If your dog doesn’t like the taste, a liquid can be much more difficult to hide or mask than tablets are. If you’ve found out that your dog has worms, you will want to get rid of them as soon as possible right? But getting rid of parasites is a tricky business, so you need to make sure that you have the right tools for the job. That’s why you need to keep all these facts in mind when purchasing these products. So, which is best? My personal choice of product in this comparison is the 8in1 Safe-Guard 4 Canine De-Wormer for Large Dogs, 3 day treatment. This medication is safe and is one of the most effective and targets one of the broadest spectrums of parasites. It can kill no less than four types of worms. As Safe-Guard protects your dog for up to 6 months, it without a doubt offers the best value for money. 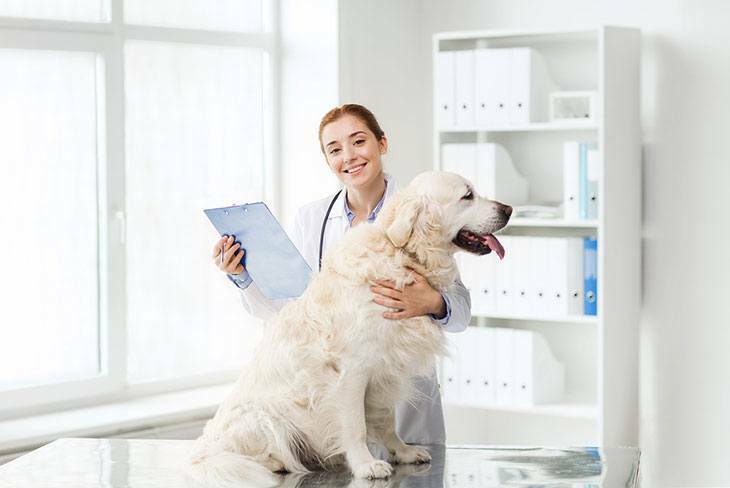 To top it off, for the most part, dogs enjoy the taste of this dewormer, or if they are not so keen on it, the flavor can be masked by their food. If you can’t find Safe-Guard, the others are good alternatives. But Safe-Guard comes tops in most categories for this review of store-bought dewormers. It’s always in the best interest of your pet to consult a vet before administering any medication. One never knows what other problems could be lurking or what complications may arise. It’s better to be safe than sorry.